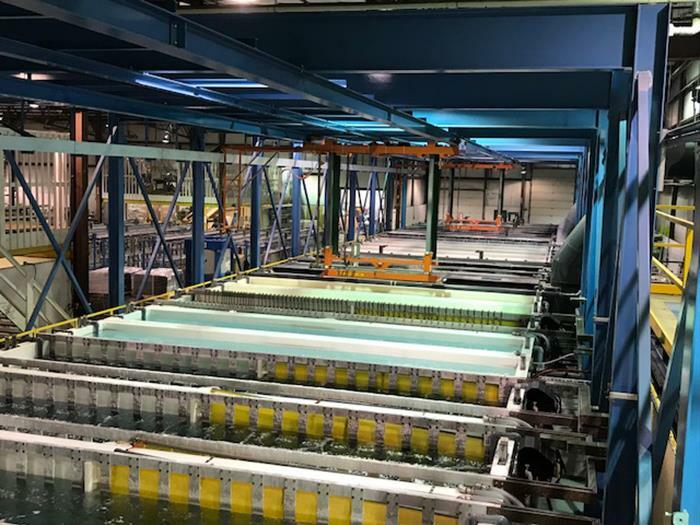 In conjunction with First State Bank and the Business Development Corp. of South Bend, IN (BDC), an SBA 504 project financing package of $5.5 million was provided to Bearcat Anodizing, LLC for the purchase and installation of the new anodizing line. As a result of the project, the company estimates the creation of 16 new full-time employment opportunities within the next two years. Goshen-based Bearcat Corp. has been in business since 1971 providing metal fabrication needs for their customers across the United States. In 2016, they formed Bearcat Anodizing, LLC to own the project equipment which has allowed Bearcat to bring their anodizing needs in-house, providing them significant annual savings and a heightened level of quality assurance for their customers. The company primarily provides products and services to the RV and marine industries. The BDC has encouraged small business start-ups and business expansions by offering supplemental long-term, fixed-rate loans in partnership with traditional lenders. To date, the BDC has helped more than 6,000 entrepreneurs and business owners in Indiana and lower Michigan preserve existing jobs and creating new employment opportunities. First State Bank is a locally owned, independent community bank providing consumer, agricultural, business and commercial financial services since 1910.